From now on, I think it only fair to regard Faith Prince as a queen - certainly a queen of Broadway,"" wrote New York Post critic Clive Barnes when Miss Prince inherited the title role of ""I"" in the Tony-winning smash revival of The King and I, now in its second year on Broadway. ""What marks her performance,"" Barnes continued, ""is her ability to take over the stage with total authority...It is that indisputable star shine."" 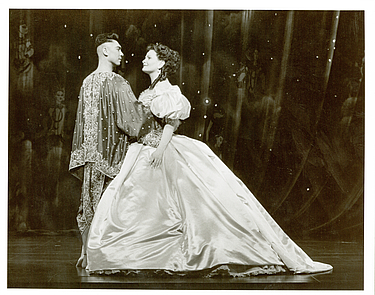 When The King and I returned to Broadway last season (see Happy Talk, Vol. 3, No. 3), it dazzled critics and audiences alike, earning the season's ""triple crown"" as Best Musical Revival from the Tony, Drama Desk and Outer Critics Circle Awards. Among its many other accolades was the Tony for Best Actress in a musical, awarded to Donna Murphy, who left the production at the end of the first year. It was a daunting task to replace her, and the surprising choice was the 1992 Tony winner, Faith Prince (who took every honor but the Nobel Prize that year for her portrayal of Miss Adelaide in Guys and Dolls). Prince joined The King and I and its original co-star Lou Diamond Phillips in March, and wowed the critics all over again. In his review, New York Times first-string critic Ben Brantley raved that Prince ""has reconceived Mrs. Anna Leonowens with such utterly beguiling warmth and humor that she makes another visit to Christopher Renshaw's Tony-winning revival essential for any fan of this lushly scored musical."" Linda Winer of Newsday declared that Faith Prince made the role of Anna ""very much her own, [proving that] she can bring a special friendliness to the darker complexities and romantic chemistry of the role,"" and Michael Kuchwara of Associated Press commended her ""wise, witty, and most importantly, warm portrait."" In the Daily News Howard Kissel described the showstopping ""Shall We Dance? "": ""At this point, Prince lets go. Her exuberance is infectious. As she dances with the King, his dazzling red costume and her billowing creamy satin dress fly giddily around the stage; the effect is exhilirating and sensuous."" Now in the second year of his reign, Outer Critics Circle Award winner Lou Diamond Phillips was also hailed by the critics. ""It is hard to remember that Phillips was the wild card when he dared to step into Yul Brynner's footsteps last year,"" wrote Winer. ""Phillips remains every inch a young ruler, fiery, curious, conflicted and even more touching than when Christopher Renshaw's revival first came to Broadway from Australia."" Kissel stated that Phillips' ""interpretation of the King remains a triumph,"" and Barnes confirmed that ""audiences clearly cherish him."" In the Wall Street Journal Donald Lyons said, ""I was even more impressed than originally by Lou Diamond Phillips' robustly comic and curtly tragic king; it's a finely original performance in a splendid production of one of the supreme musicals."" ""But the star of this production remains the show itself,"" wrote Kissel. ""[It] grows more impressive with each viewing."" The King and I is currently playing at the Neil Simon Theatre, New York. For further information call Ticketmaster at (212) 307-4100. 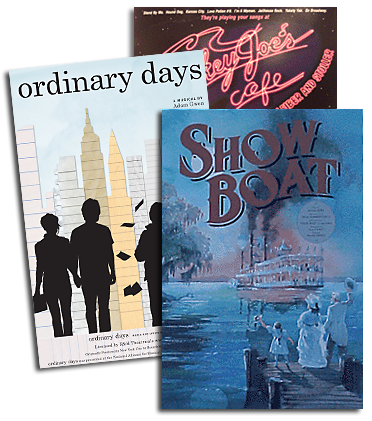 The 1996 Broadway cast recording is currently available from Varse Sarabande Records, and a special souvenir folio edition of the songbook is available from Williamson Music through Hal Leonard Publishing."